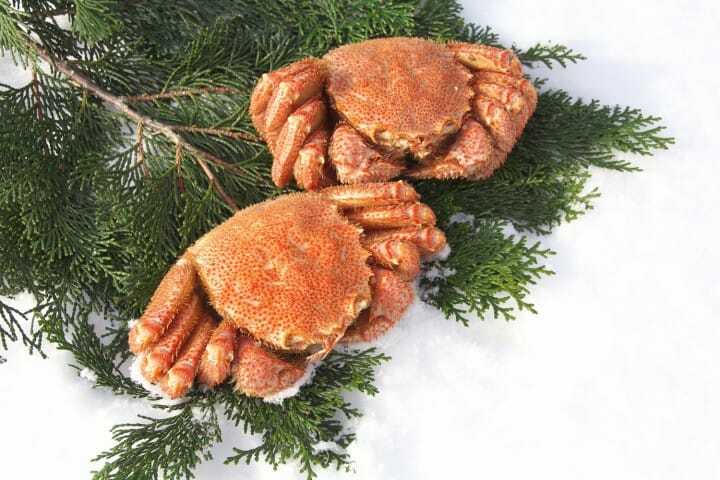 https://matcha-jp.com/en/1355 Jogai Market, Sapporo: Come Eat Fresh Hokkaido Crab And Shrimp! Next to the Sapporo Central Wholesale Market, you will find the "jogai" market, where you can enjoy Hokkaido seafood and go shopping for the freshest seafood. Isn't one of the pleasures of traveling being able to eat delicious, locally sourced food? Hokkaido has dishes like Genghis Khan BBQ, ramen, soup curry, pork rice bowls and more. Its sushi and seafood bowls, which use fish caught in the northern seas, are also very appealing. That’s why we’re going to introduce you to the “jogai” market next to the Sapporo Central Wholesale Market, just 20 minutes from the Sapporo city center by train. What Is the Sapporo Central Wholesale Market? All sorts of Hokkaido vegetables, fruits, and freshly caught seafood arrive at the Sapporo Central Wholesale Market every day. Right next to the Sapporo Central Wholesale Market, which is distributor-only, there is a section of the market open to all, known as the jogai market. Rows of around 60 shops are located in this area, including fishmongers, greengrocers and dry goods stores, and starting at 6:00 in the morning, the absolute freshest and most carefully selected ingredients will be in front of their shops. Furthermore, there are many places which make use of the market’s ingredients, like sushi restaurants and set lunch shops, and for a reasonable price you can enjoy tasty seasonal food to your heart’s content. Products are on display until the end of the market auctions, so go early in the morning to be certain you’ll be able to buy what you want. We recommend doing your shopping in the morning, then eating lunch at the jogai market before heading out. Plenty of Seafood to Savor! There are tanks filled with plenty of live crabs. Crabs taken out of the tank are arranged like this, in front of the store. Because most places can ship their products via express home delivery, you don’t need to worry about having to carry around a giant crab with you all day. There is also plenty of delicious-looking dried seafood too. There are narrow passages that run between shops. Actually, if you head into these dim alleys, there are many shops that offer delicious fresh seafood bowls and sushi. All of them are in the same general price range, so head into a restaurant that seems intriguing. As for myself, I ordered a seafood bowl. As I enjoyed the plump shrimp and salmon roe, I sipped my hot miso soup, and was able to fully enjoy what Hokkaido’s seas have to offer. Sapporo has several markets, but the jogai market is the largest in scale, and you can experience the liveliness of the market firsthand. The seafood you can eat in the streets of Sapporo City is delicious, but we recommend getting your fill of delicious food in an environment that can only be experienced here at the Sapporo Central Wholesale Market. Be Sure to Visit Hokkaido Ramen Dojo in New Chitose Airport!